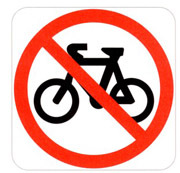 VC Norwich Reliability Ride – Sunday 20th Jan – CANCELLED! After driving the course today and reviewing the weather forecast for the coming weekend we have been forced to cancel the VC Norwich reliability rides planned for Sunday 20th. We will review the Norfolk calendar in the coming days and it is hoped that we will be able to reschedule this event or include one of the routes into our second RR on 17th Feb.